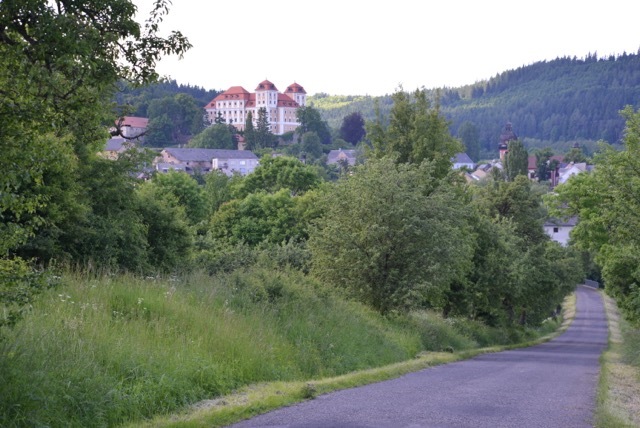 The Cultural Landscapes Field Study class in the Czech Republic will take place this May 9th through 26th in association with the Center for Heritage and Society’s international conference in Prague from May 16th through 19th. Students will take part in the conference as part of the field study, and can present work at the conference with an accepted abstract. Conference presentation is open to graduate and advanced undergraduate students. The Field study class will spend the first week in Prague, and the final week at the Palace in Valec, pictured above. Accommodations in Prague will be in the Czech University of Life Sciences University dorms (private bath, refrigerator and hot plate). During the second week we will live at the Palace traveling out from there and working on the grounds. We will have a full kitchen where we will have breakfast and lunch, and will have dinner at a local restaurant. For more information on this year’s schedule and also past year’s field schools, please go to http://blogs.umass.edu/valec. To sign up for the course go to the IPO website. The cost is $600 which covers local accommodation, most breakfasts and lunches, local transportation, conference fees and visitor fees to sites we will visit. You are responsible for your airfare and some food.